I am very sad to report that Bob Shor passed away this morning after battling illness for the past few years. 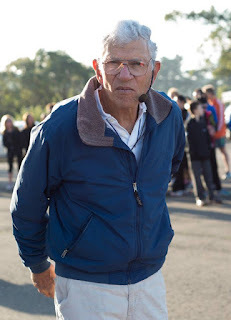 Most of you would know Bob from starting a lot of meets especially in the Santa Rosa area. He was also the starter for the Dublin Distance Fiesta, Castro Valley Invitational and NCS MOC XC meet for many years. Bob was also a youth coach in the Santa Rosa area. May he rest in peace. He was definitely one of the good guys in our sports. Photo to the right courtesy of Michael McGuire. I have no information of funeral services at this point. If I hear differently, I will update this post. The following are two posts from Santa Rosa coaches Doug Courtemarche and Carrie Joseph. Bob Shor was an icon, an institution, a legend. He touched 1000s of young athletes' lives. Gruff yet gentle, he had a wealth of knowledge and wisdom to impart. He was a Vietnam Vet from New York City, a 4:20 miler, a great storyteller. Old School all the way, which would cause him some bewilderment as times changed of course. He was especially patient with young kids in SR Express, and I have many fond memories of Bob being surprisingly playful with my own children as they grew up on the track because I towed them there every day. Despite his health problems the last few years, he never missed a day of practice until this past CC season. One of the hardest core routine skills we do are what we call the "Bob Shor Leg Hovers" -- it's too painful to even describe here, but let's just say he made it look easy. 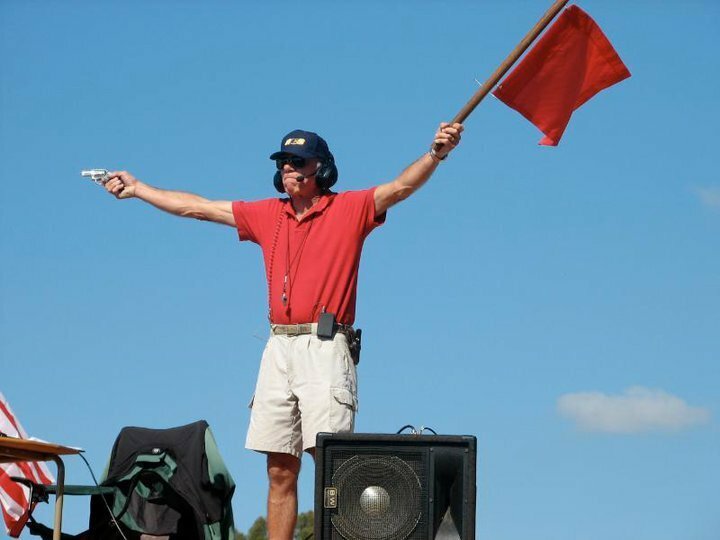 I know our athletes would sigh with relief when we would travel to a foreign track or CC course and see Bob with the starter pistol -- partly because they knew Bob inspired fear in their competitors, but also because they knew the real Bob. That's sad. I usually tried to take a moment to say hello to him when I saw him officiating events over the past 5 years. He was there rain or shine. He obviously had a passion for the sport of running. So sorry to hear this. Bob was one of the first people I met when I started coaching nearly 20 years ago and while he could be brusque, he knew his stuff. He was always willing to give advice and he loved seeing all kids participating in XC plus T&F. I enjoyed the conversations I had with him over the years. He will be missed. Bob, you were a scholar and a gentleman and you have been a positive influence in our lives for the last 9 years. We love you and we will miss you! He will forever be remembered by the 1000s of athletes that ran USATF meets as THEIR starter. As one athlete told me at a very rare meet not started by Bob, "It's not a track meet if Bob Shor isn't starting it." I ran for M.P. Striders Track club (USATF) from 1996-2003. Bob was the main person myself and my teammates would look forward too seeing each and every meet. One of the memories that I Will always cherish is his voice on a false start saying "stand up,stand,stand up". He will be missed. Bob's obituary is online now at http://www.pressdemocrat.com/news/7304710-181/bob-shor-the-man-with. I was always happy to see Bob when I arrived at a meet: both because he was good for the kids, and because he was obviously doing something he loved. You made big difference for me and the kids, Bob. Thank you.